Now that the weather is (finally) taking a turn for the cooler and we’ve no more got the excuse of “but it was just Christmas!” to explain away our kitchen lethargy, it seems there is nothing to do but get back into the swing of things. Home cooked meals. Preferably at least 50% vegetable matter. No-dessert-days. Hey you! (Yes, you.) Put down that extra slice of cake. Koji & I have been working hard this February, all four days of it, to get back into some semblance of a healthy lifestyle (particularly in light of my trip to Malaysia and the exorbitant amounts of food I consumed there) – the only problem being that I’m a little out of touch with the kitchen. And by a little out of touch, I mean a lot out of touch. Even so, we’ve slaved away over the stove stirring risotto, pressure-cookered (is that a word?) chicken carcasses for stock and indulged (if you could call it that) in high-protein, low-fat (but unfortunately, high-carb) pasta salads. And then I got tired of thinking of the next day’s menu and even more tired at the thought of cooking it. “What can I cook? What can I cook?” I muttered to myself this Saturday past, grimacing at the stovetop. “How about we head out to the markets? Get some inspiration.” suggested Koji. “But then I have to come home and cook something and I’m sick of cooking. It’s the weekend dammit.” replied I, ever cranky at nothing in particular. So off to the city we tottered with an armful of enviro-bags. We absorbed the sights and sounds, the smells and surprises of the city (including some gelato, a plate of noodles and a dragon dance). And when we were done, we tottered home with bags of vegetables, a new charging cable, a hunk of sourdough and some nuts for good measure. Sorting through our purchases, the thought of making dinner seemed quite a bit less torturous. Not one, but two bags of mushrooms had made it into our collection of bits and bobs. I don’t know whether I had purchased them in a spate of forgetfulness or intentionally bought so many, but there they were. 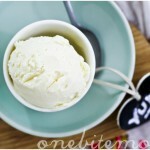 A creamy handful of ricotta was unearthed, along with a tiny baggie of eschalots – sweet and firm. I switched the oven on. There is something comforting about the warm buzz of an oven on a drab day. Much nicer than standing over a hot stove where the flames scorch your fingertips and the smells stink up clothing and hair alike. And it was this wonderful contraption that I chose to use for dinner. In the time it took the oven to go from zero to 225C, I’d picked (and repicked) a baking dish, prepped the mushrooms, headed outside to smell the herbs, chopped off lengths of said herbs, peeled and chopped the eschalots, tossed the mixture in a happy melee of white wine & olive oil, sampled said white wine (for sampling’s sake), located some cherry tomatoes that were on their last legs, prepped and tossed said tomatoes too, settled on the sofa for a bit of tele, answered some emails and taken hasty photographs of the lot. Which is to say, preparing this dish took no time at all. After 20 minutes in the oven, you will catch a whiff of the most delicious smell. 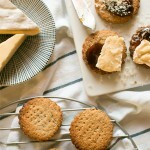 Earthy, sweet and caramelised with the ever-recognisable waft of rosemary tossed into the mix. If you take a peek into the oven’s belly, you might see some perfectly cooked mushrooms swimming in a fragrant sauce. If you liked, you could pull them out at this stage and toss some pasta or orzo or barley through it and have a very serviceable meal. Or, you could go about your business – collate some receipts, perhaps, or work on some projections. You could play a game of Chivalry on your computer with your friends, screaming and taunting each other through Skype (Koji, not me), while all the while the scent of roasted mushrooms permeates through the house and whets your appetite. Forty-five or so minutes after the mushrooms first went in, you might pop some slices of sourdough into the toaster and fetch a blob of creamy ricotta from the fridge. The mushrooms, which have soaked up every drop of liquid they entered with, are burnished brown and ever so slightly wrinkled from the heat. Pick through them to extract the now-wiry stems from your herbs and ladle generously atop your toast. “These are… I really… Will you make them again?” says Koji, in between chews. “Should we share them with Jim? There’s some left over?” I ask, having polished mine off. “Nope. Mine.”Â he responds, with a shake of the head. The mushrooms are the real star of this dish. If you're not a fan of ricotta, or have a somewhat more ample budget than myself, try them with crumblings of a soft goat's cheese or marinated fetta for that extra bit of punch. Preheat your oven to 225C. Clean your mushrooms and cut into halves or quarters or sixths, depending on the size of the caps. You want the pieces to be about the same size so that they cook evenly. Peel and chop the eschalots into thin rings. Wash your herbs and dry well. Find a baking dish large enough to fit all of the mushrooms in one layer. 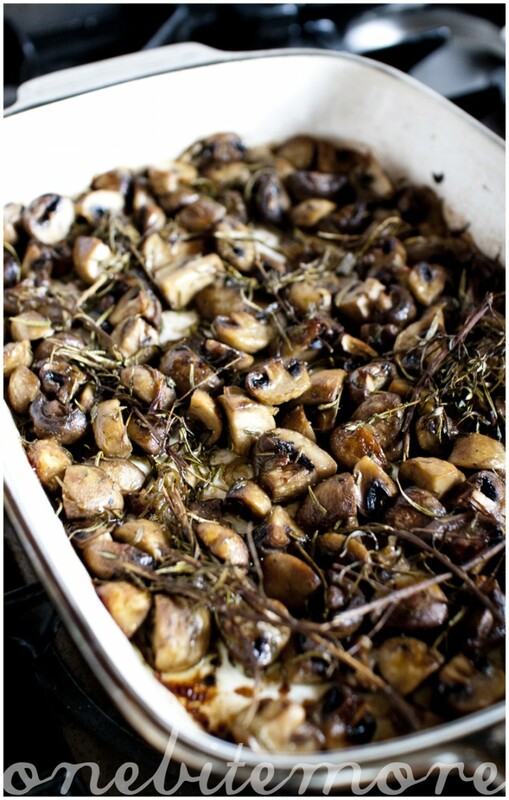 Tip the mushrooms, white wine, olive oil, eschalots, herbs, salt & pepper in and mix briefly with your fingers to combine. When the oven is hot enough, pop it in and bake for 45 - 50 minutes, stirring once at about the 20 minute mark. 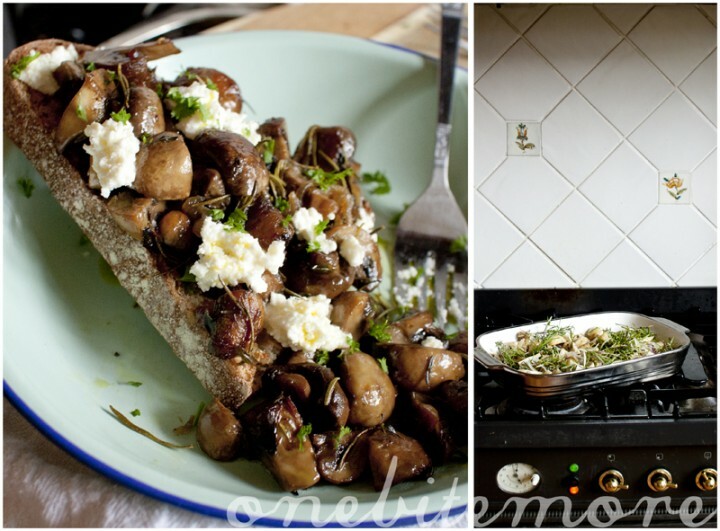 When the mushrooms are almost done, toast your bread and quickly chop some parsley. 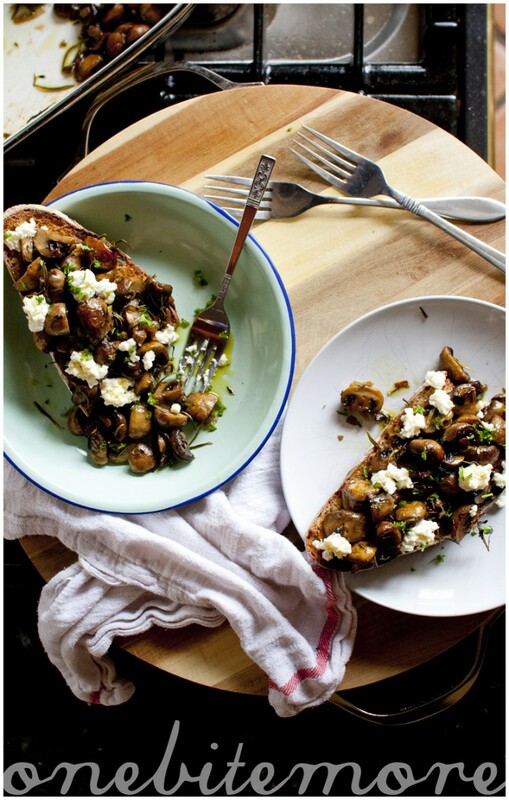 Serve the mushrooms atop the toast with dollops of ricotta, a sprinkling of fresh parsley and a squeeze of lemon. This post has been sponsored by Australian Mushroom Growers. 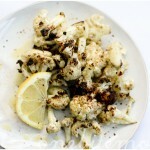 For more great Summer Mushrooms recipes, visit the Power of Mushrooms website. 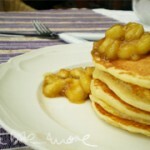 These look soo delicious and perfectly comforting for these cold nights we’re having at the moment! Looks very tasty! I would definitely take a bite! Love your idea! The recipe looks pretty simple, bet this is gonna be my new comfort food. Thanks to you. This looks really amazing. I’m not particularly fond of mushrooms but this looks really delicious. Thanks for sharing the recipe, I can’t wait to try it out. Those roasted mushrooms look absolutely fantastic. I’ve never had it paired with ricotta but can only imagine the party that would happen in my mouth! Your writing sends shivers down my spine. I could have sworn I could smell the rich earthiness of these mushrooms as I continued to read. Yum! This looks so good! I might even have to add a little avocado to this!!! Thank you for a recipe that makes mushroom shine! I love them as the main focus of a dish. this looks amazing! 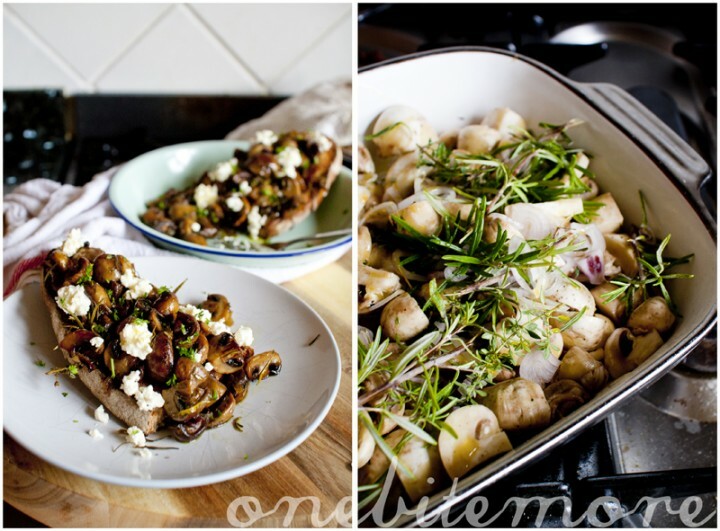 i love roasted mushrooms, so replicating this at home soon! 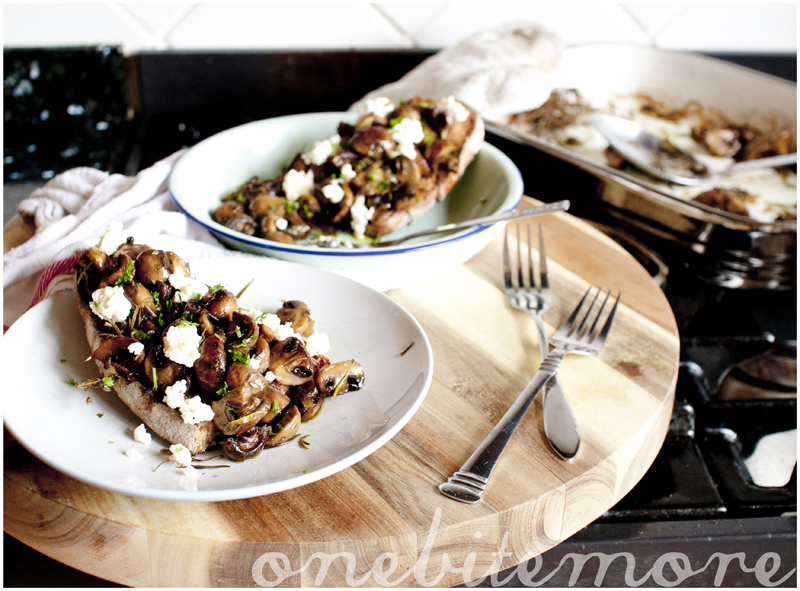 mushrooms are one of my favourites, what a grand idea to pop them in the oven and walk away…..